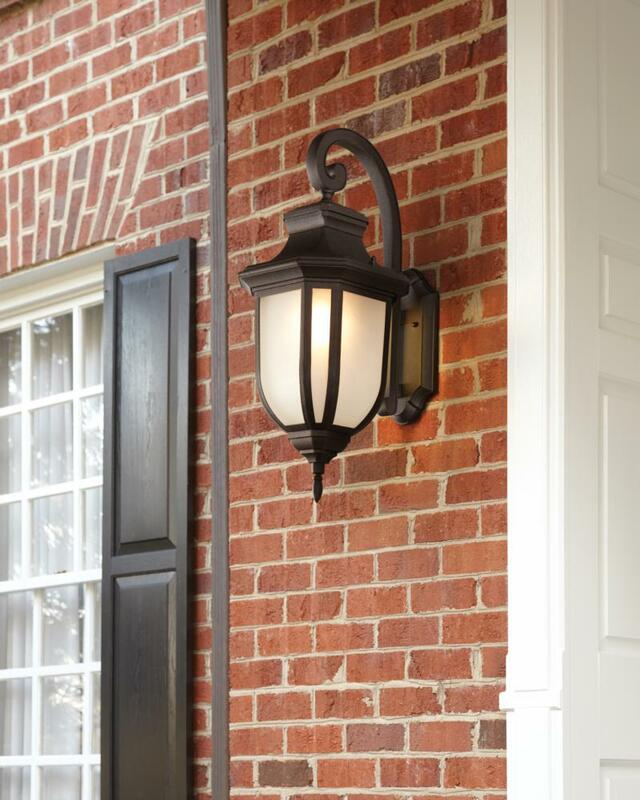 The stately Childress outdoor lighting collection by Sea Gull Lighting is rich with design elements contributing to its traditional silhouette. A shepherd’s crook, chamfered roof line, cut-corner-square body with Satin Etched glass and a small bottom finial all add detail and visual interest. 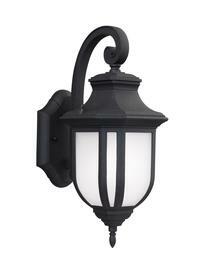 Made of durable cast aluminum, a stepped-edge backplate completes the traditional look. Offered in Antique Bronze or Black finish, the lighting fixtures include a two-light outdoor ceiling flush mount, an extra large two-light outdoor wall lantern, small, medium and large one-light outdoor wall lanterns, a one-light outdoor pendant; and a one-light outdoor post lantern. 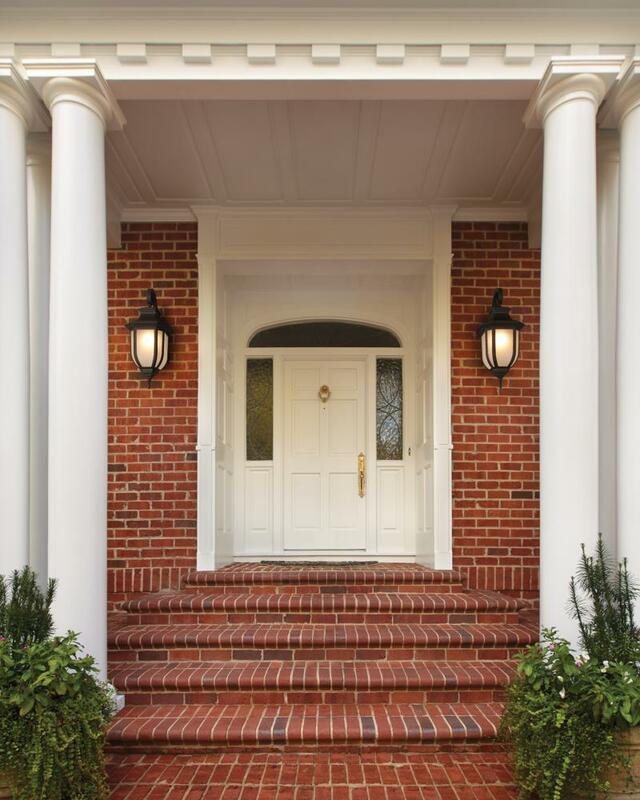 Incandescent, integrated LED and ENERGY STAR-qualified LED lamping are available. The advanced, integrated LED option has warm-on-dim technology that warms in color when dimmed, going from 2700K to 2200K and is California Title 24 compliant.